At the start of the project, I decided to keep track of money spent to see if I could stay within my budget. I originally set a budget of $900. That was for everything. 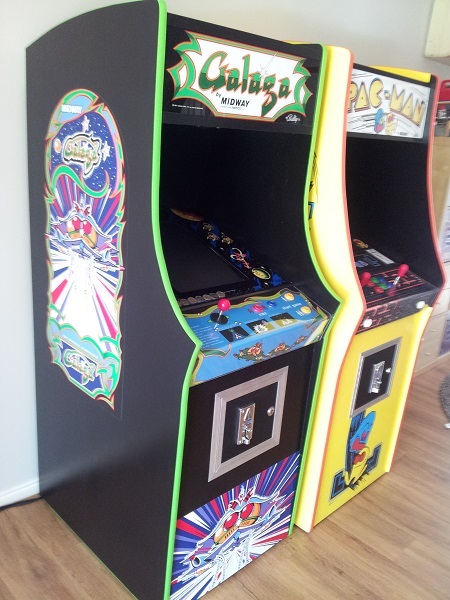 Wood, paint, artwork, wiring, game board, controls, etc – everything. In the end, I spent just over $1200. I’m not too worried about going over the budget, as originally I was not going to use Galaga artwork, and just some generic art. 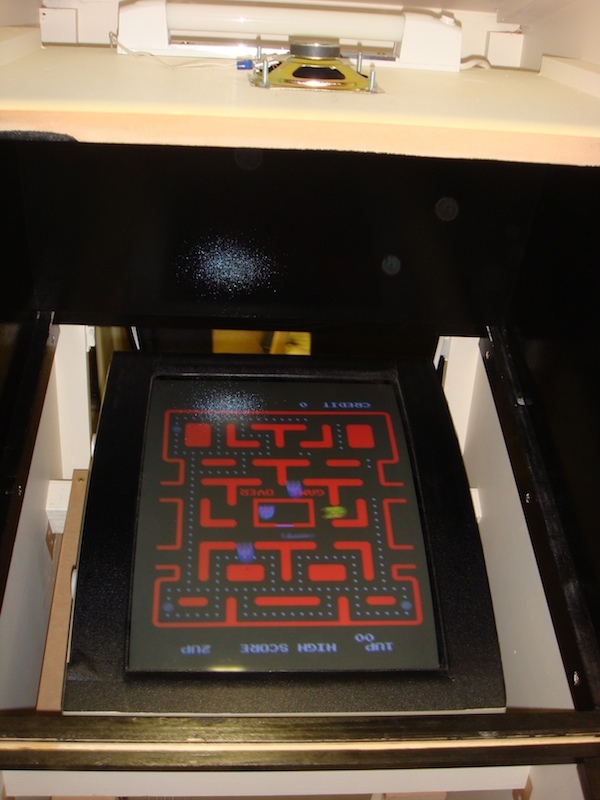 The side panels, kick plate, marquee and control panel artwork all pushed the cost higher. Without those expenses, I would have been right on budget. With the finished result, I’m glad I spent extra. 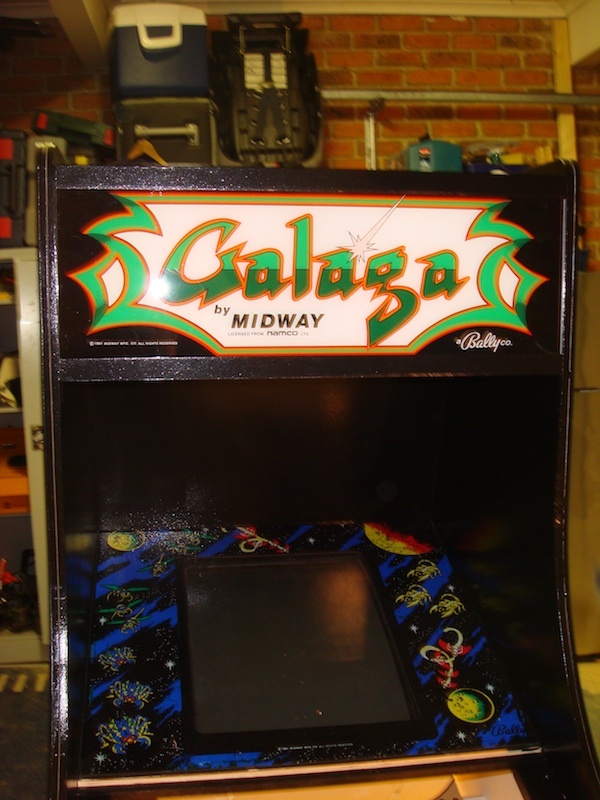 Tonight saw my Galaga cab project come to an end. The final touches done, and it’s ready to bring home. Firstly, the internal wiring was tidied up. 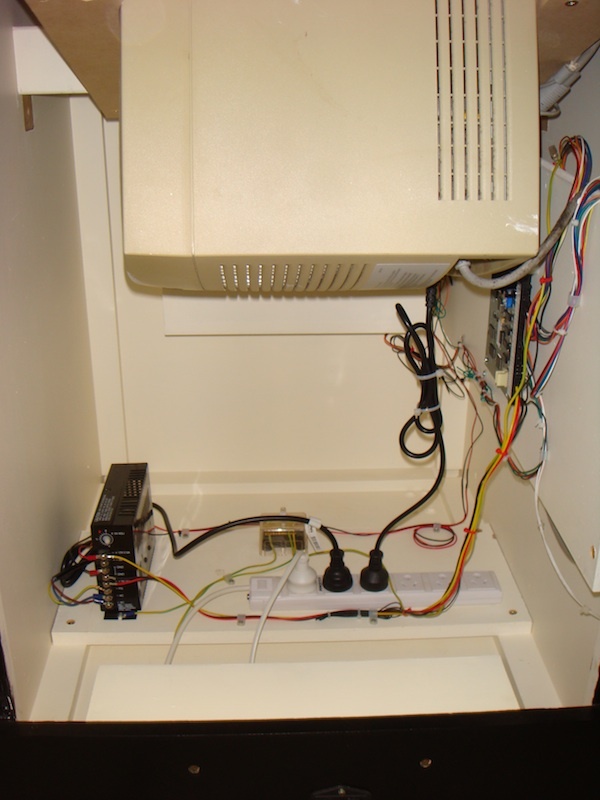 The ‘step’ at the back encloses the 240V in (from the IEC switch, through the fuse, to the EMI filter and varistor and then to the powerboard. The powerboard supplies power to the marquee light and switcher. The small cube at the back is the earthing block. I’m really happy with how tidy it looks. There is plenty of room in there. First on the hit list tonight was the marquee. The artwork is printed onto the back of a thin piece of acrylic (around 3mm thick). I have placed a second piece (also 3mm) behind it to help protect the artwork itself. Holes were drilled into the brackets, and then into the frame. It has come up looking awesome!